Welcome to Our Pet's Vet, a Caring, High Quality Veterinary Care Facility Which Now Offers A Free Vaccines For Life Program! Our Pet's Vet is a full-service animal hospital. Our mission is to provide the highest standard of veterinary care for pets and great customer service for our clients. We provide well and sick care, vaccinations, dental care, acupuncture, K-Laser therapy, bathing, boarding, spays, neuters and a wide variety of general surgeries. Our hospital is clean and we really do care about your pet. 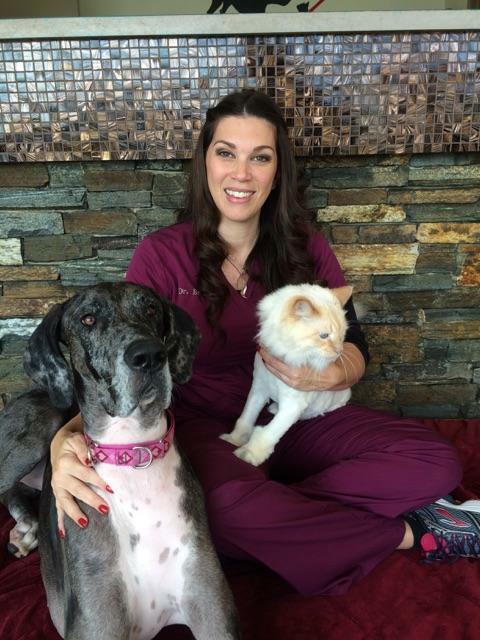 Dr. Brenes and her staff understand that pets are family members. Our clients are not just owners, they are parents and parents need to feel secure that they are providing the best possible healthcare for their loved ones. Our recommendations for your pet's health will always be made with their best interests in mind. We may not be the largest animal hospital in town, but our personal setting means that you and your pet will receive the individual attention and care that you deserve. We encourage you to come meet us! Discover for yourself why our clientele are so satisfied and why so many have made their vet Our Pet's Vet. We serve the Lake Forest, Mission Viejo, Foothill Ranch, Laguna Hills, Ladera Ranch, Trabuco canyon and Santa Margarita communities. First Exam $30 off for New Clients! One pet per family only. Sign-up using the form or call us at 949-297-4070 to take advantage of this exclusive offer.